The brand was founded in 2012 by the filmmaker Roman Coppola and their range of totes, duffels and pouches are all designed and constructed in Los Angeles. Because most of their sales happen online, and they ship bags to customers all over the world, packaging plays a big role in Pacific Tote Company’s customer experience. 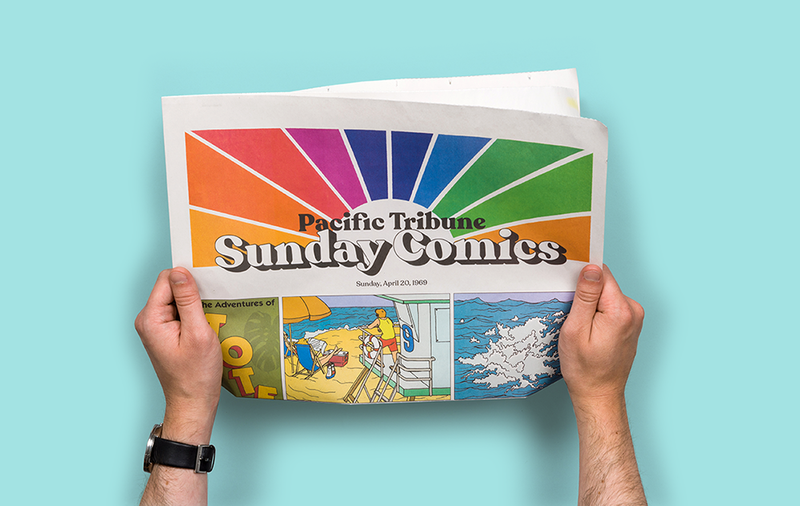 They use a broadsheet newspaper, printed with their own playful riff on Sunday comics, to make a fun and memorable first impression. Below, they tell us about the origin of the brand, where they find inspiration for new colours and why a newspaper is a "secret detail" that adds personality to their packaging. 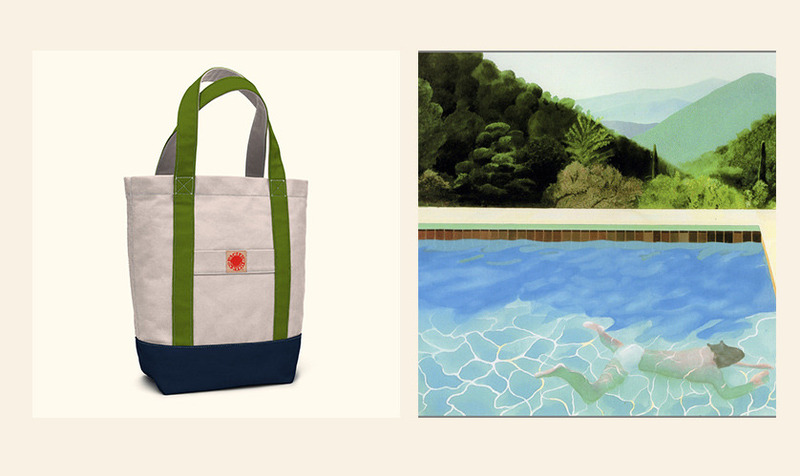 How did the Pacific Tote Company get started? 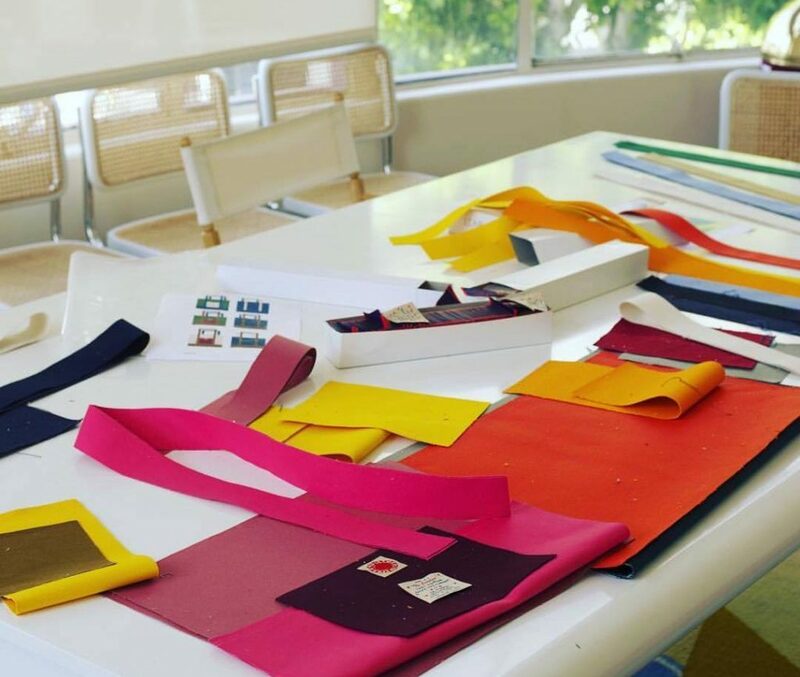 Our founder, Roman Coppola, was inspired by a visit to Ichizawa Shinzaburo Hanpu, a Japanese bag manufacturer. When he searched for an American equivalent, he found that they all had a muted, East Coast feel. 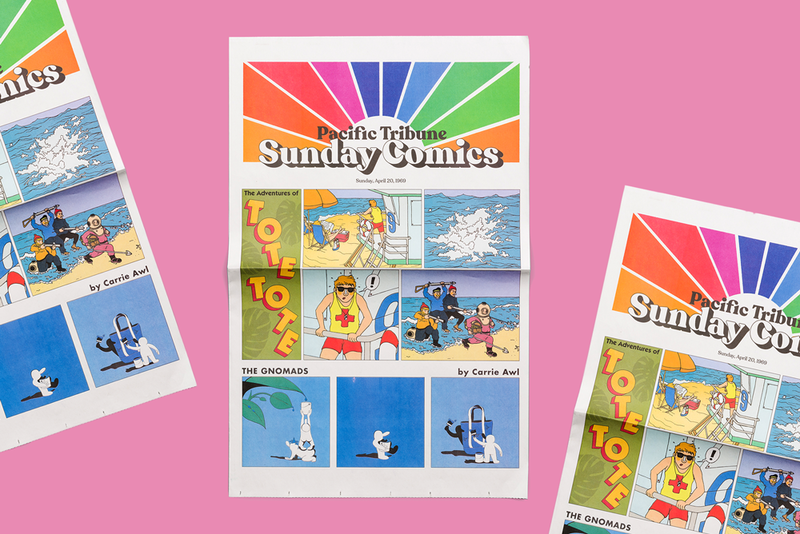 Sunday Comics by Pacific Tote Company, printed as a traditional broadsheet. As a California native, he wanted a high-quality beach bag inspired by the fun style of California. Through the Special Projects division of his production company, The Directors Bureau, he launched Pacific Tote Company. Where do you find inspiration for the colour combinations of your totes? We use a lot of classic California imagery: the former license plate, the state flag, the Golden Gate Bridge—they've all become bags. Most of the imagery is from the 1970s, but broadly it's a pastiche of the '60s, '70s and '80s. 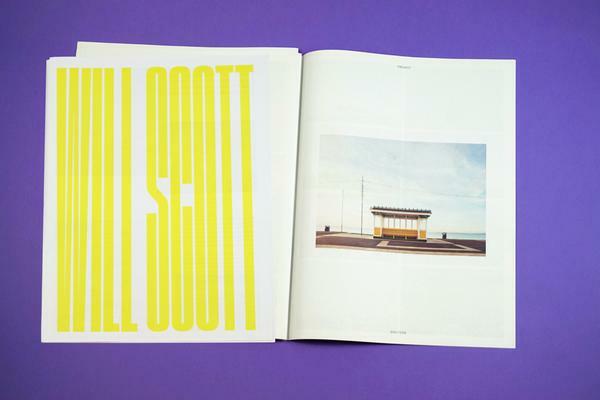 We've also built up a reference library of book covers, art, photography, objects... really anything. 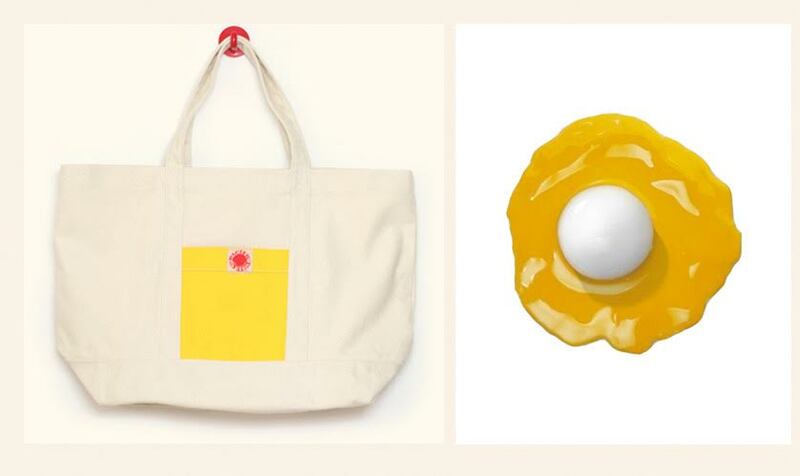 One of our bags is just inspired by an egg. Our "Tan Lines" bag, which evokes those heavy '80s tan lines, is an example of how broad and figurative our references can get. 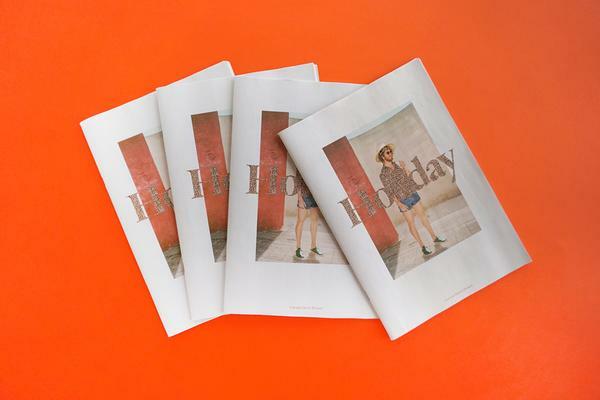 How does a newspaper fit into the Pacific Tote Company brand? It has actually become a part of our packaging. Because our business is primarily online, we put a lot of work into making our packages as fun as possible. 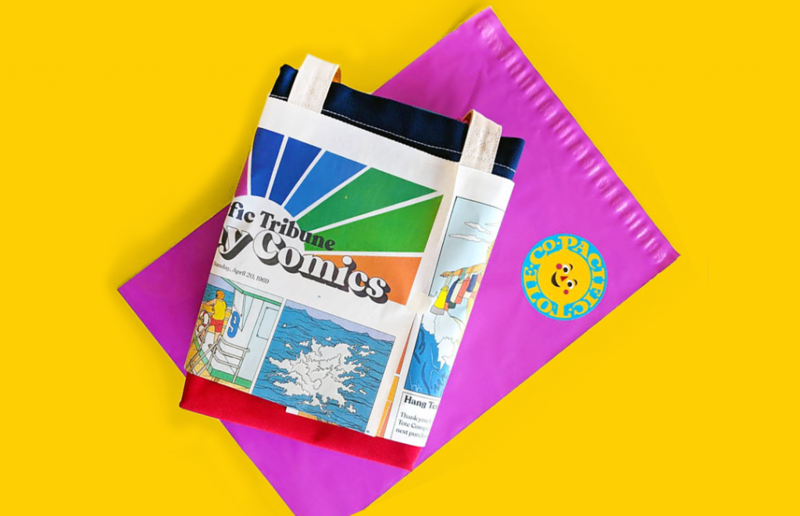 We ship in colorful poly mailers with stickers and illustrated pamphlets, and now we wrap our totes in these Sunday comics. It's a small detail, but a high impact one that really adds to our first impression. "The best moment is when people realize it's not simply an old newspaper, but a custom-printed one with our own spoof comics." We're hearkening back to the days when products were wrapped in old Sunday funny pages. Newspaper Club allowed us to not only print our own version, but to omit the back printing to avoid ink rubbing against our products. Detail from Sunday Comics by Pacific Tote Company, printed as a traditional broadsheet. 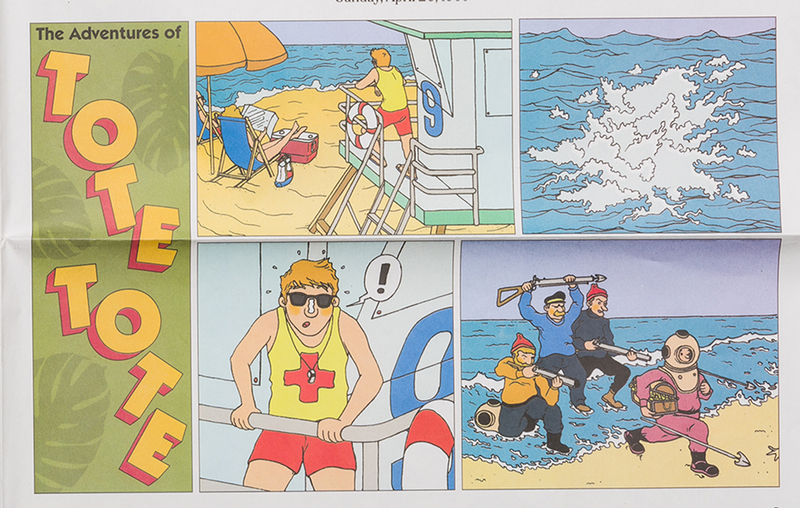 The newspaper puts a fun twist on classic comics—like "Tote Tote" instead of TinTin (pictured above). How did you come up with that idea? 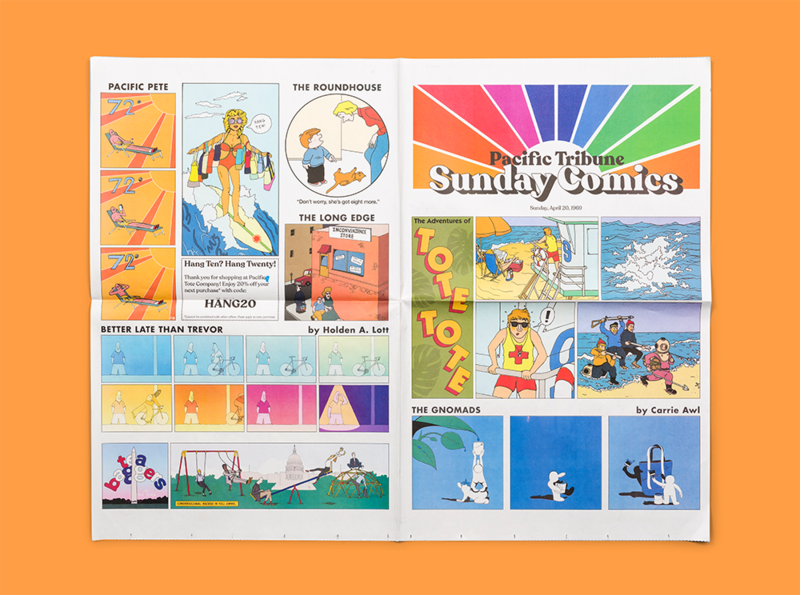 We always wanted this newspaper to feel like a real edition of Sunday comics. Part of the fun of it as packaging is that it's like a secret detail. 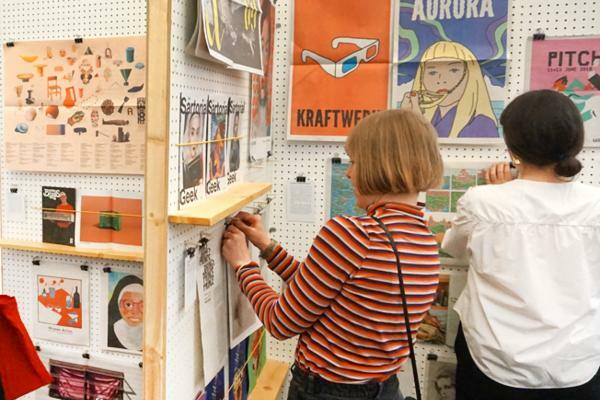 Some people may simply tear through it, thinking it's just a regular paper, but others may catch small details – like ToteTote instead of TinTin – and realize that we've illustrated all of it ourselves. "We put a lot of work into making our packages fun. It's a small detail that really adds to our first impression." How have customers responded to the newspaper? So far the response has been great! The best moment is when they realize that it's not simply an old newspaper, but a custom-printed printed one with our own spoof comics. Finally: can you describe your ideal newspaper reading experience?